Every component on this black RAW 4 piece grinder is easily cleanable and replaceable, even the pollen screen. 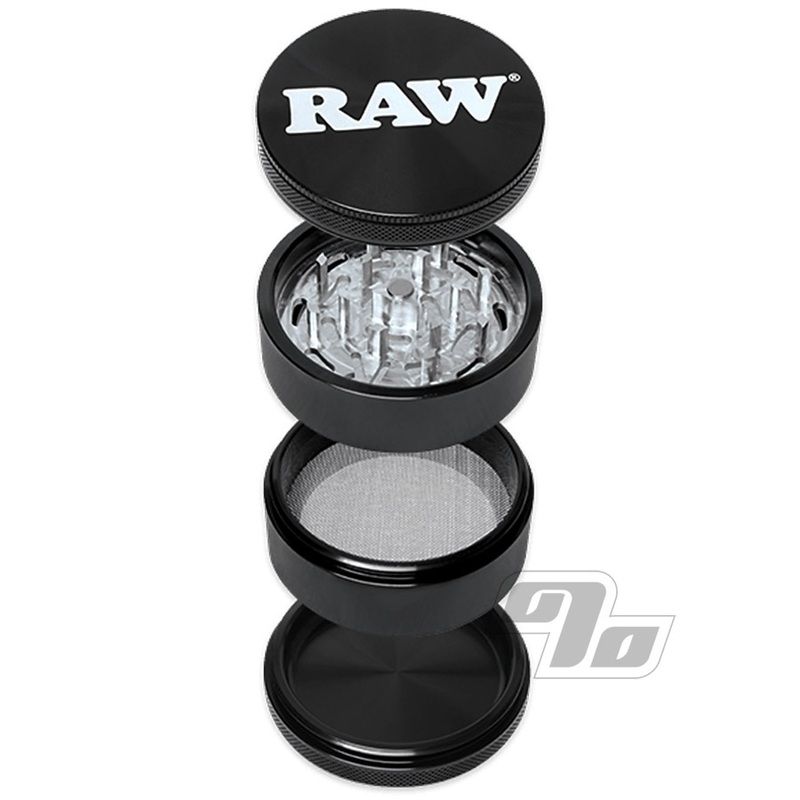 You can add or remove components onto your grinder and customize it exactly the way you like. 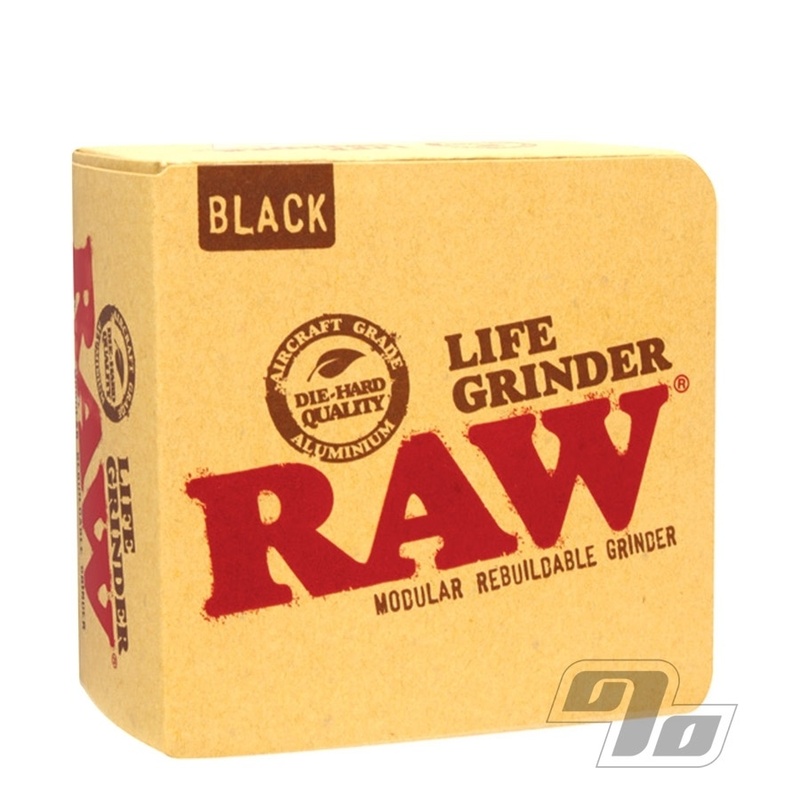 For example you can remove the screen and use it as a whole leaf grinder (grinding directly into the super large catch basin). 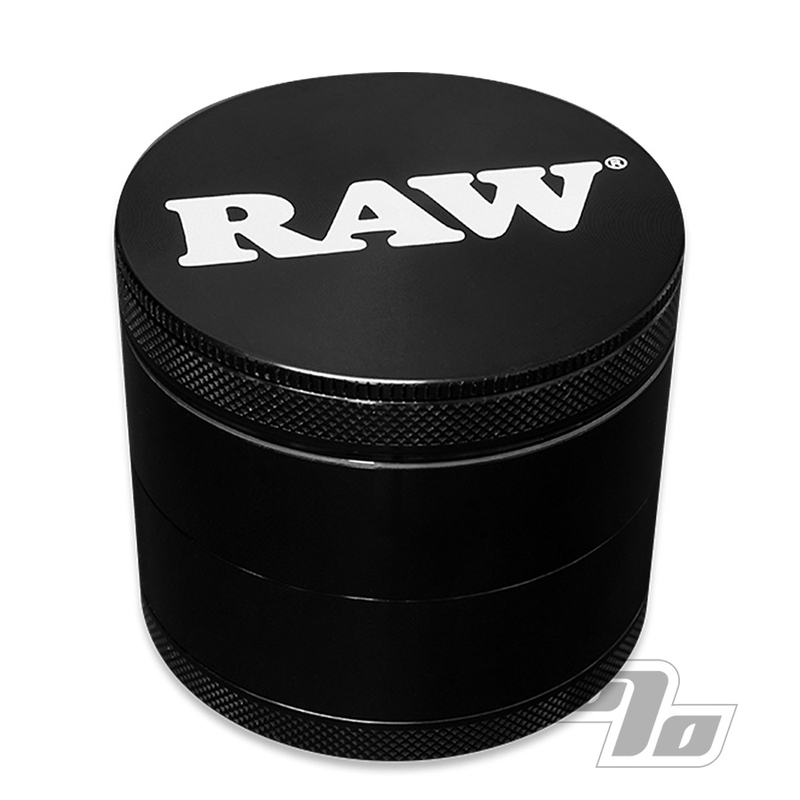 While it's technically a 4 piece grinder (grind, sift and collect) these RAW ones actually break down into 12 distinct pieces!